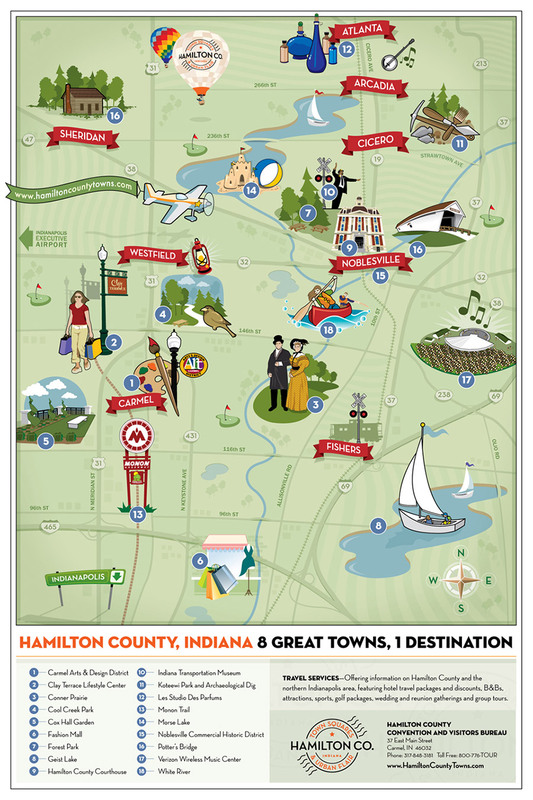 Illustrated map showing special locations and destinations in Hamilton County, Indiana. 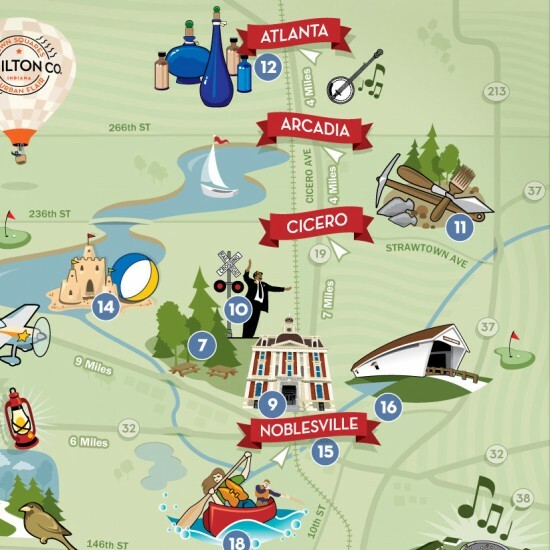 We wanted to create a fun map to convey fun things to do or see in one of the fastest growing counties in America. Following a travel-poster style of illustration, we illustrated iconic likenesses of the chosen sites and worked with the folks at Hamilton County Convention and Visitors Bureau to establish the right look n’ feel. 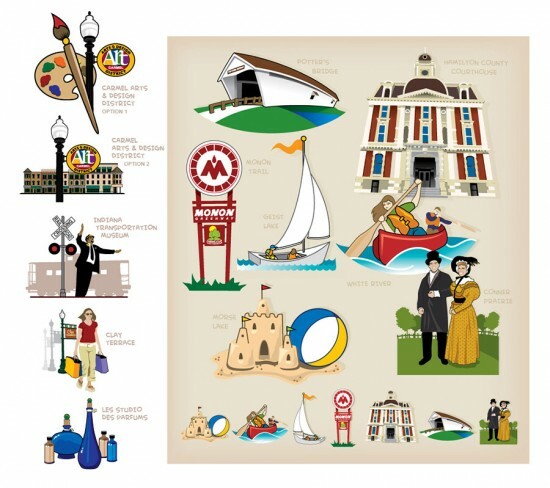 While the overall map was big and all-inclusive, the custom graphics were created in AdobeIllustrator, allowing each icon/illustration to be pulled from the file and used separately in additional print collateral.